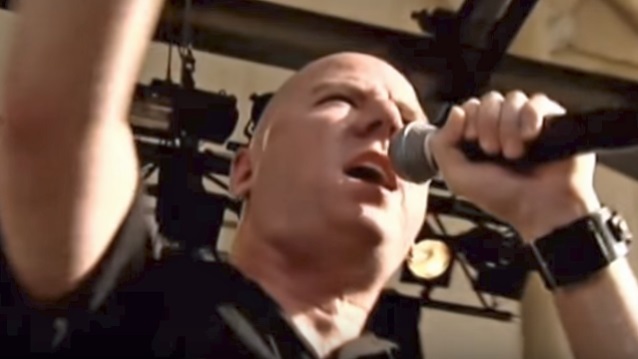 EXHORDER frontman Kyle Thomas spoke to The Metal Crypt about the band's revamped lineup, which also features fellow founding member Vinnie LaBella (guitar) along with Jason Viebrooks (HEATHEN) on bass, Marzi Montazeri (ex-SUPERJOINT RITUAL, PHILIP H. ANSELMO & THE ILLEGALS) on guitar and Sasha Horn (FORBIDDEN) on drums. According to Kyle, "it's really kind of odd" how the EXHORDER reformation happened. "We had been gradually talking again after many years of not seeing each other too much, and one night we were at a Corey Feldman concert, of all places," he said. "It just kind of popped up where we were like, 'Do you want to?' and the other guy said, 'Yeah, sure.' It was just about that boring." 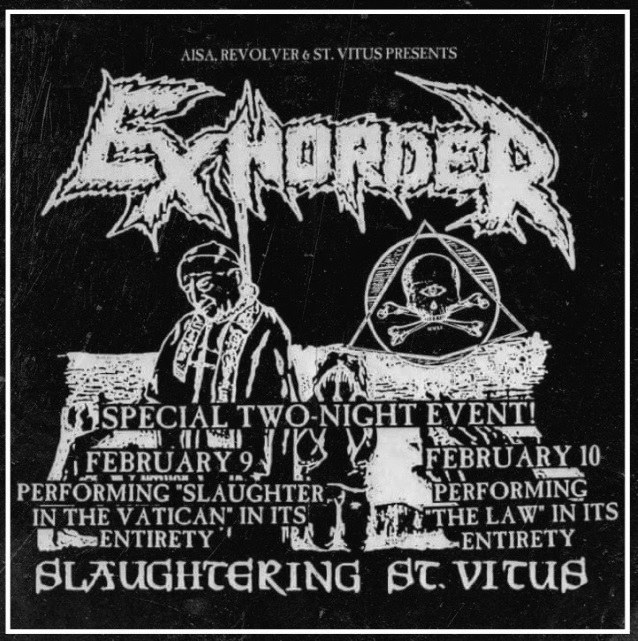 EXHORDER will play its first shows in the U.S. in February and is planning on making several festival appearances during the summer. The band will perform its legendary first album, "Slaughter In The Vatican", and sophomore album, "The Law", in their entirety on Friday, February 9 and Saturday, February 10, respectively, at the St. Vitus Bar in Brooklyn, New York. 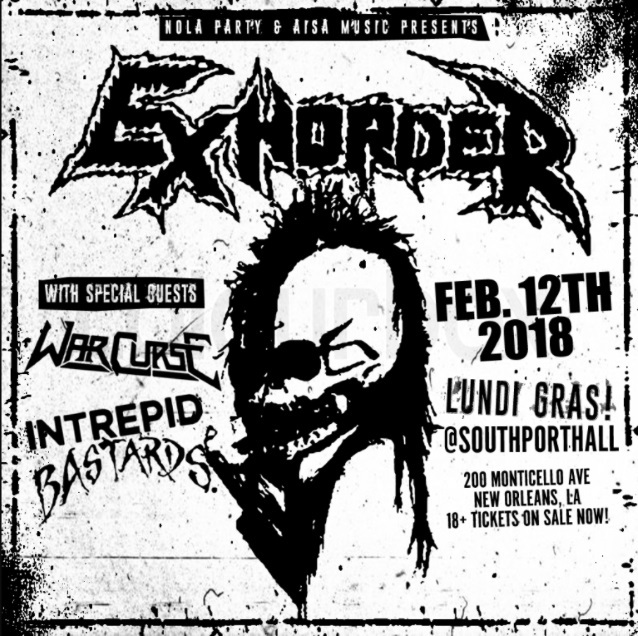 EXHORDER will also play a homecoming show in New Orleans at Southport Hall on February 12.